"It's the best solution in cases of substantial dental damage or decay"
"When carried out to a high standard, long-term success is very likely"
Root canal treatment is often called 'the tooth saver'. Many people have a deep-seated fear of endodontics. They'll say ‘not as bad as a root canal treatment’ - as if it's one of the worst human experiences. Such fears are unfounded. Here's why. In professional hands, root canal treatment is the best way to keep your natural teeth and preserve good dental health. The procedure is no worse - sometimes more gentle - than having a normal filling, although it may take a little longer. Life doesn’t always play us a fair hand. Most of us try to keep our teeth in reasonable condition because we know that long-term neglect can be painful, both in the mouth and pocket. Yet unnoticed changes can take place to our teeth, flagged only when we have dental pain or our dentist discovers an underlying problem during a routine inspection. If you become a candidate for a root treatment, the following information will put your mind at ease. Very often patients describe their root canal experiences with terms like “it was very painful” and “I had to go back six times”. That’s unfortunate, but not the way things need to be. When the endodontics procedure is carried out correctly, you should have no special discomfort. Note that this is the best solution in cases of substantial dental damage or decay. Advice by a dentist will give you a clearer picture than advice by other patients. The tooth is a living organism with a nerve and blood vessels in the inner cavity (known as ‘dental pulp’), which helps it to grow to maturity. The tooth is protected by a hard shell (the dental enamel) that prevents bacteria in the mouth from attacking the dental pulp. However if the tooth's defences are weakened though an accumulation of dental plaque or gum disease, the bacteria will eventually penetrate the enamel and attack the pulp. Your dentist removes the decay in the tooth to protect the pulp and to restore the function and appearance of the tooth. Repeated bacterial attacks can weaken the pulp to such an extent that the nerve can no longer recover and so the pulp dies. The point is - you don't always know. 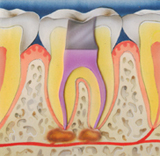 Different nerve systems within the pulp will cause the tooth to respond in different ways. The nerve may die quietly and never cause any symptoms. It may be a chance x-ray that alerts the dentist to a problem. Alternatively the dying nerve may cause a great deal of pain and be very difficult to locate. 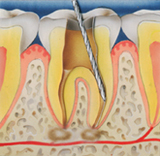 When the nerve becomes irreversibly damaged, then either the pulp or the tooth has to be removed. The treated tooth is referred to as being dead, because it has lost its internal nerve and blood vessels. However there is still a nerve and blood supply to the outside surface of the tooth, so the successfully root treated tooth should feel normal. If you want to keep your natural teeth, then no, there's no alternative. 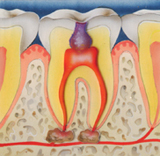 Without root treatment, your affected tooth will need to be extracted. Every tooth stabilizes the teeth adjacent to it and those immediately above or below. If it is removed and not replaced, other teeth may well shift from their natural positions. This will stimulate problems with gum disease, food packing (leading to further decay) and bite problems. Consider also the issues of proper food chewing and aesthetics if you have missing teeth. Teeth can be replaced with bridges, implants or removable dentures and the options should be discussed with your own dentist. Implants have revolutionized restorative dentistry and can be an excellent substitute for the natural tooth. The dental root has often been described as nature’s implant, so wherever possible the tooth should be kept. Consult with your general dental practitioner with an endodontics specialist about extraction. Nobody can guarantee success. However when the endodontic treatment and the restorative treatment that follows it are carried out to a high standard, long-term success is very likely. Failure would be caused by the leakage of bacteria into the root canal system or by mechanical failure i.e. fracture of the remaining tooth. You should check to what extent your general dentist is skilled and confident in performing root canal procedures. 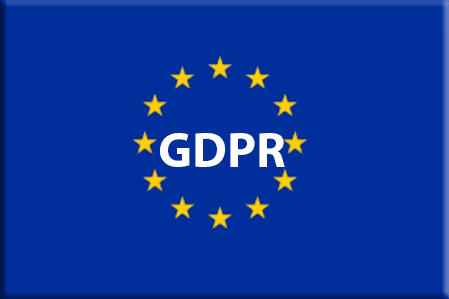 Many of them work to a high standard. The task may involve a straightforward treatment or there may be complications. The molar teeth have a more complex root canal system than the front teeth (incisors and canines), are harder to access and can require more specialized equipment. While endodontics specialists are usually more expensive, their training and experience enable them to deal more easily with complications. Note too that a significant part of their work is to re-treat teeth where the original root canal treatment failed.